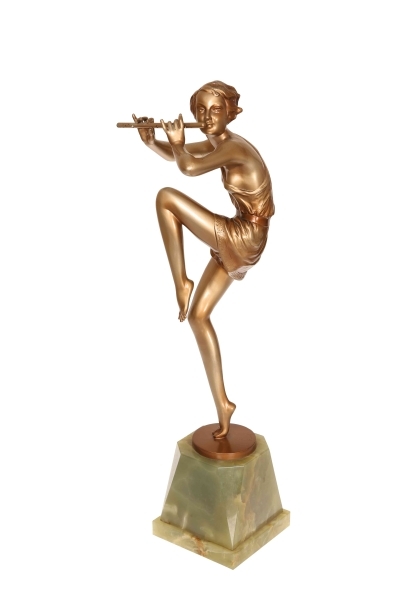 An Art Deco cold painted bronze dancer with flute by Josef Lorenzl. 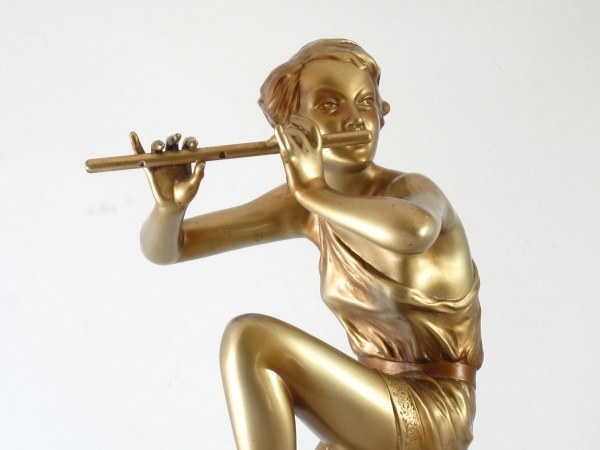 The large and well modelled, charming figure stands on an onyx base whilst holding a flute in her hands. 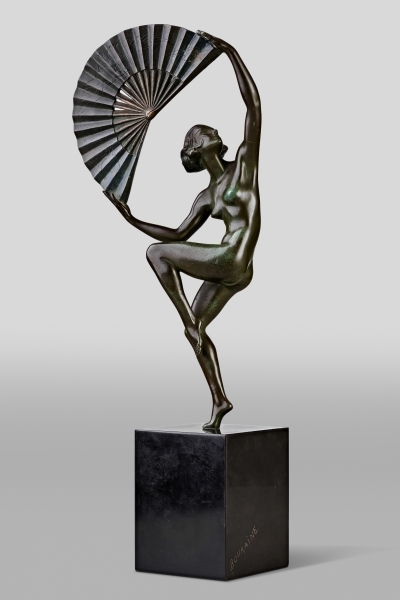 The stylish pose of the dancer complements this elegant art deco figure. Signed in the bronze Lorenzl. 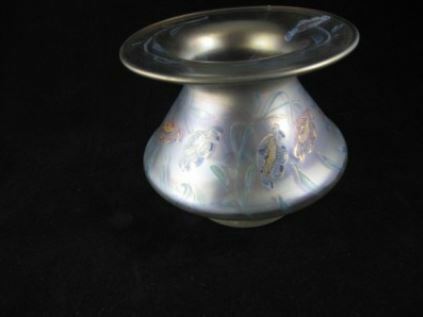 A rare and elegant piece. Josef Lorenzl 1892 – 1950 Although very little is known about Lorenzl’s early life it is known that he was born in Austria in 1892 and was soon to become one of the most talented sculptors of the Art Deco Period. He started by working for a bronze foundry in Vienna Arsenal where he produced stunning bronze statuettes. The majority of his works in bronze and ivory were of singular slim female nudes with long legs which conveyed elegance. 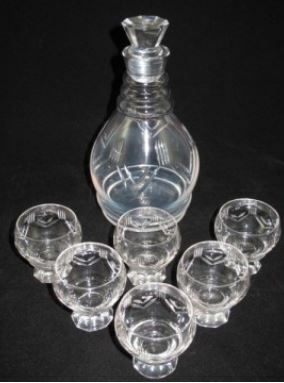 His preference was for dancing poses which were not only evident in his singular statuettes but also in those attached to marble clocks, lampbases and bookends. Lorenzl is considered one of the most important artists in the Art Deco period as his distinctive and stunning figurines are highly sought after by collectors. 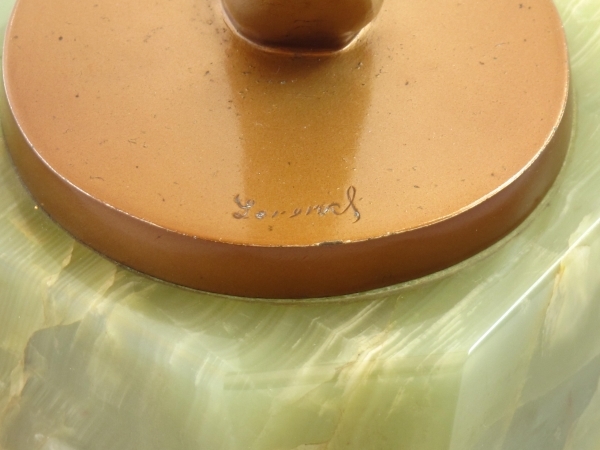 A celebrated sculptor with an eye for design Lorenzl epitomised the Art Deco era perfectly making him one of the most celebrated and iconic designers of the 20th Century.